The maracuja or passion fruit cheesecake is a simple and tasty spoon cake to prepare. There are many versions of this cake, but in this recipe I replaced the cream with yogurt, making this cake much lighter. By adding a little 'coconut flour, you will discover how to make yogurt much less acidic and soft (like cream). In addition, the bottom of the cake, instead to be made of digestive biscuits, I chose to do it with chocolate biscuits flavored with cinnamon. 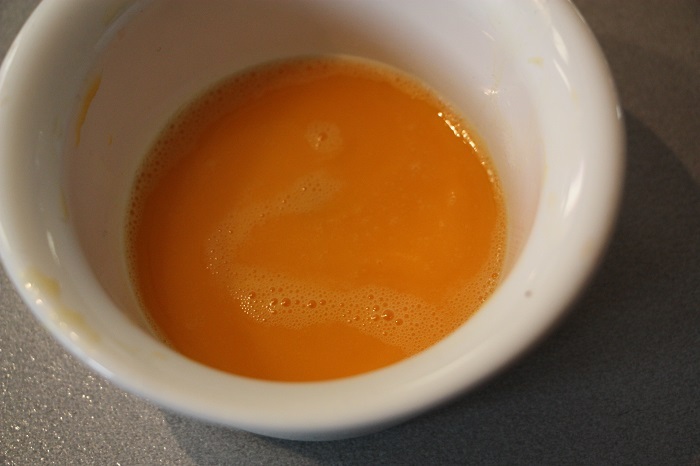 First we prepare the maracuja sauce that we will use to coat the cheesecake once it is ready. Take the fruits of passion or maracuja and after having washed them cut them in half. 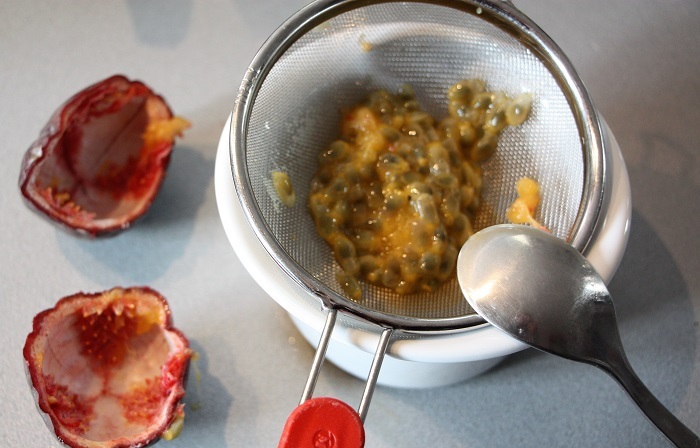 Then with the help of a teaspoon, empty the edible inner part and pick it up in a fine mesh strainer. Put a container, like a cup, under the colander, which can collect all the juice from the maracuja pulp. At the end you will get a lot of fragrant juice in the container. You can decide to prepare a completely seedless or semi-seeded sauce. If you opt for a seedless sauce. Throw the seeds and use only the juice. 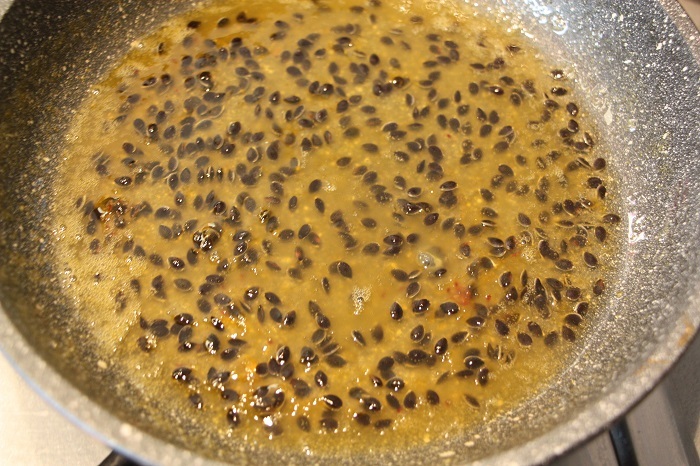 Then take the seeds with the remaining pulp and put it in a saucepan together with some of the maracuja juice. Most of the juice will keep it aside. Add it cold at the end to keep the maracuja sauce as fragrant as possible (since cooking tends to lose its fragrance a little). Add a few tablespoons of sugar and start heating up. When you have obtained the right consistency and softness of the maracuja syrup, turn it off and let it cool. Cold, add the rest of the maracuja juice. Mix well. Now we have to prepare the real cheesecake. In a metal bowl, add the Filadelfia cheese, then the yoghurt, the white sugar, and the coconut flour and begin to mix the ingredients. If you have a food processor insert the head to whip the cream and stir the contents at low speed to mix the ingredients. Take a cup of milk and cut the jelly sheets into small pieces, then immerse them in a cup of milk. Put the cup of milk with the jelly sheets in the microwave for a minute. That is the time it takes for the jelly to melt in the cup of milk, but not so long as to spill the milk out of the cup. Once the gelatine has melted, add the cup of milk in the agitator together with the other ingredients. 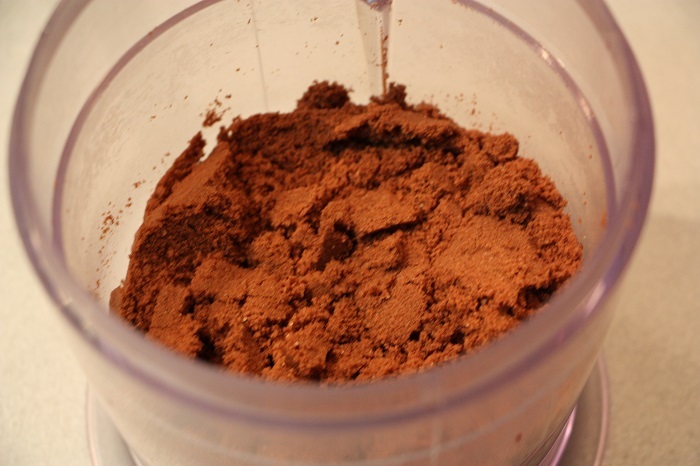 Now that the mixture is slightly more liquid, increase the speed of the fitter so that it engulfs the air in the mixture. Let the mixture whisk until it is slightly frothy and well blended. Now we prepare the bottom of the cake. In a shortbread, we put the chocolate biscuits and then frull. 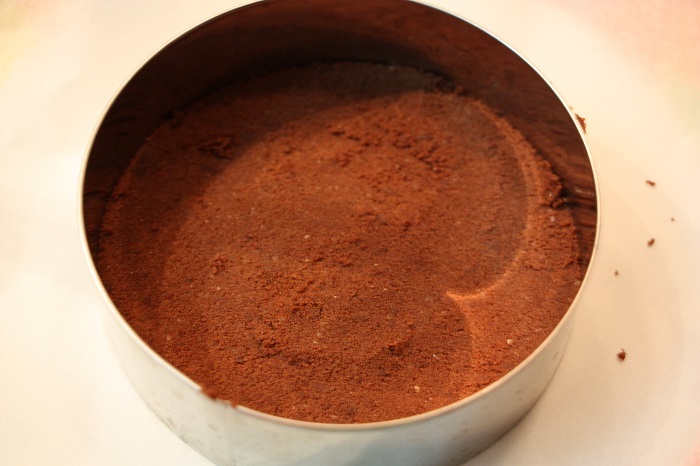 Once you have a grain, put a spoonful of cinnamon powder and blend again for a while. 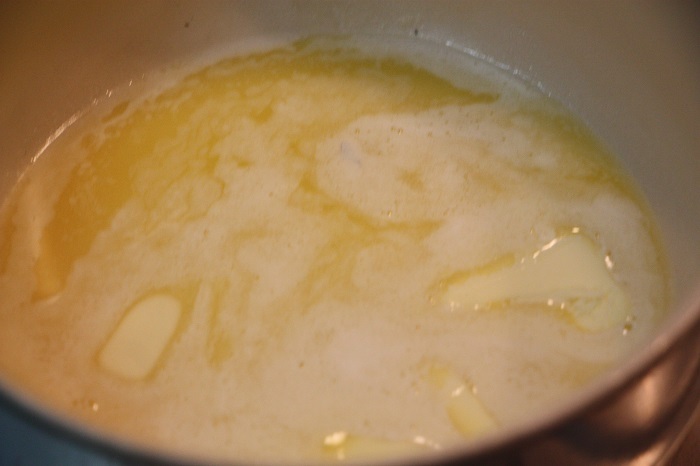 In a small saucepan melt the piece of butter and heat over low heat. Once liquid, turn off the heat and add the grain. With a spoon, mix everything, so that the grain completely absorbs the butter. Continue to shake and you will see that the grain begins to change behavior, tending to aggregate in crushing it with a spoon. 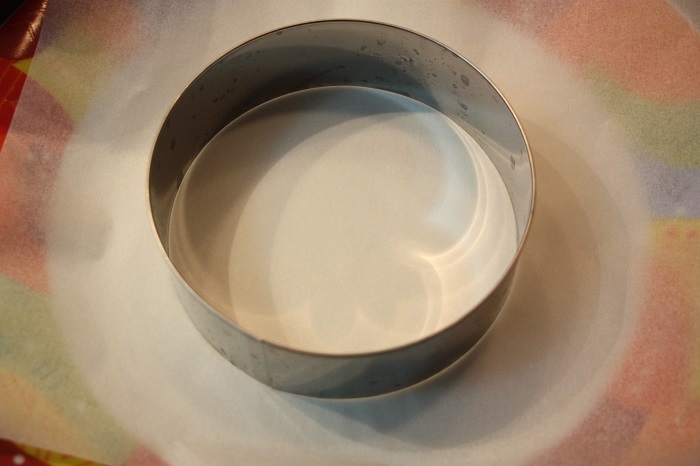 Now take a tray or a plastic base and cover with a sheet of baking paper, then place a pastry ring with the desired diameter on the baking paper (you can also prepare many small mono or two-part cheesecake), or you can use the classic metal opening cake tin. With a spoon, pour the grains into the cake tin, crush with a spoon, pressing gently to form a half-centimeter cake bottom (or more if you prefer). Then pour the dough into the cake tin. 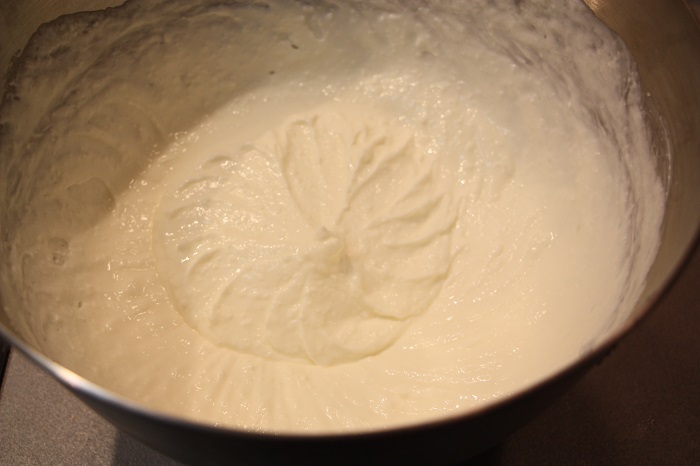 Spread the dough well so that it is evenly distributed in the cake tin. 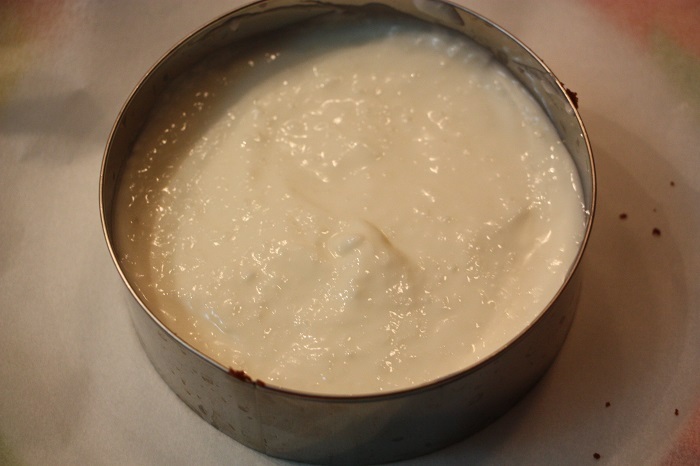 Put the cake tin in the fridge for at least an hour, so that both the base and the dough are consolidated and harden. Once the time has passed, pull out of the fridge, drop the maracuja sauce over it. Cover it completely. Put the cheesecake in the fridge and let it rest for at least another two hours.